Luxury Escapes will today unveil a new five-star hotel experience at the Sydney Qantas Club Lounge in Sydney. The hotel themed activation has taken inspiration from Wes Anderson’s iconic film, The Grand Budapest Hotel, which is set at a popular European ski resort, with its main character a dedicated concierge. The four-metre space has been designed to stimulate the imaginations of travellers as they pass through the Sydney Qantas Club Lounge from 1 - 30 September 2018. The memorable space will emulate a concierge’s desk, giving travellers the opportunity to explore five-star holidays from Luxury Escapes in a vibrant red, scarlet and ruby-coloured setting. Lounge guests will be treated to an array of five-star complimentary beverages, including Chandon champagne and giveaways including luxury holidays and prizes that add a five-star touch. Other offerings include Luxury Escapes credit, bonus Qantas Points and a chance to win a holiday each week. 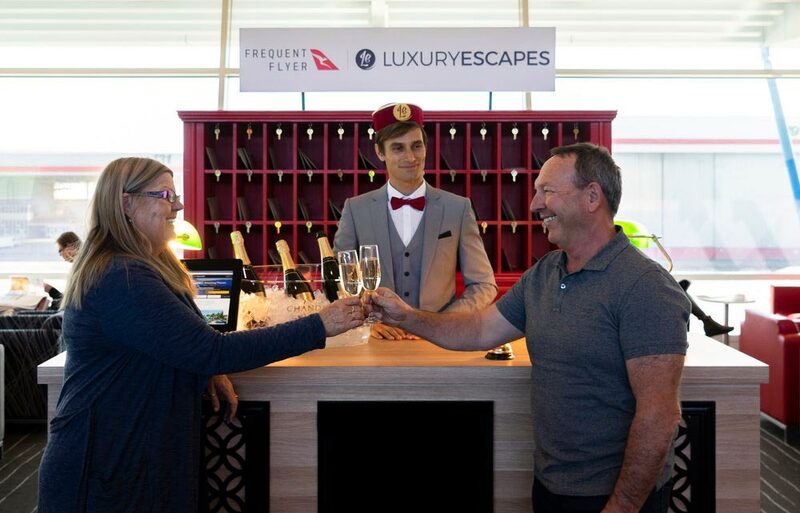 Luxury Escapes Co-Founder and CEO Adam Schwab said that Luxury Escapes and Qantas Frequent Flyer have a strong relationship and a shared aim of making travel more enjoyable. “The airport activation is a great way to show passing travellers Luxury Escapes’ unique offering of being able to book great deals in amazing places,” said Schwab. Qantas Frequent Flyer members can use Qantas Points to book - or put towards - eligible Luxury Escape holidays, starting from $20 for every 4,000 points used. Members can also upgrade their room or stay an extra night, just by using points to cover the difference. Qantas Frequent Flyers can earn 1 Qantas Point per dollar value on all eligible holidays, even when you use points. Members just need to sign up to Luxury Escapes and link their Frequent Flyer number to their Luxury Escapes account. This activation is the latest in a series of offline initiatives implemented by Luxury Escapes, following on from Luxury Escapes – The Lounge, a pop-up concept store launched in Melbourne’s CBD for a five-week period in 2017. To read more about Luxury Escapes’ investment in offline initiatives, click here.